Gov. 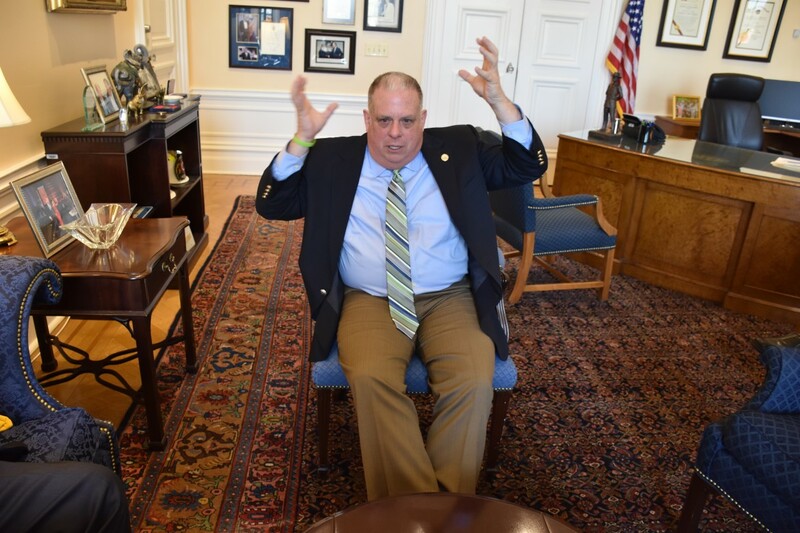 Larry Hogan in an April 8 interview in his office. Photo by Rachel Bluth, CNS, for MarylandReporter.com. Five vetoes and two major appointments in the past week tell us a great deal about Gov. Larry Hogan, Jr. – some good, some not so good. He’s proving to be a more conservative governor than voters probably imagined when they voted him into office. He’s also proving surprisingly doctrinaire in the extreme language in his statements and messages. The sets up a transportation advisory panel, another toothless tiger, like the earlier transportation scoring system he vetoed but the legislature overrode. But at least citizens who ride public transit would have a voice to express their concerns. Transparency and public input are at the heart of this bill. By vetoing it, Hogan came down emphatically on the side of secrecy and imperial-style decision-making. In his veto message, Hogan made the ridiculous claim that the bill degrades Maryland’s quality of life and harms the state’s competitiveness – total buncombe. He gets an emphatic F.
This bill bars redevelopment of the Northwood Shopping Center in Baltimore, where student housing is planned for nearby Morgan State University – unless a local community group approves. This is a local spat that never should have been taken on by the General Assembly. It is dangerous overreach. Besides, the conflict between town and gown largely has been settled. There’s no need for such a disruptive and intrusive piece of legislation. Hogan chose the correct path. The governor had nasty words for this bill, which forces the state to set aside $75 million over the next 10 years to start paying for a replacement for the scary-as-hell 76-year-old Harry W. Nice Bridge that connects the northern neck of Virginia with Southern Maryland. Hogan accused the legislature of superseding the “professional judgment” of his transportation staff. Au contraire, governor. This bill restores the priority status given to replacing the Nice Bridge by the O’Malley administration. Instead of building a modern $1 billion bridge, Hogan’s folks want a far cheaper expansion of the existing, dangerous crossing over the Potomac River. That’s not good enough. Until Hogan cut tolls on Maryland roads and bridges, the state had designated a replacement for the Nice Bridge as one of its top objectives. Now there’s not enough money to do the job. There’s nothing wrong in the legislature expressing its will on major transportation projects. The long debate over the original Bay Bridge took place in the General Assembly. Governance in Annapolis is a shared responsibility – something Hogan wants to change. This bill forces utilities to turn more rapidly to renewable energy for electricity. It’s a boon for advocates of solar and wind power. The current goal is 20 percent renewables by 2020. This bill forces utilities to reach 25% by then. That’s a steep challenge, even with subsidies from ratepayers that could cost close to $200 million by 2020. It may be asking for the impossible. Maryland has made good progress on the road to renewable energy. But there’s a limit to how far this state, given its latitude and harsh winters, can march in that direction. We’re not part of the Sunbelt and state officials have walled off vast stretches of Western Maryland for renewable wind farms. Besides, utility rates have been rising for Marylanders, many of whom struggle to make ends meet. Hogan is not about to permit what he sees as a backdoor tax increase. He merits an A for this veto. This bill, SB910, runs into all sorts of constitutional conflicts. The goal is noble – a panel tasked with devising ways to help poor students do better in school. But two members of the General Assembly would hold seats on this board, which would hire a director and staff and set far-reaching education policy. That’s the job of the executive, not the legislative branch, as any student of high school civics knows. Hogan is right to teach the bill’s supporters a lesson in constitutional government. His veto gets a grade of A.
Del. Tony O’Donnell of Calvert County is the governor’s latest Public Service Commission nominee. In some ways, it’s a curious choice. O’Donnell, a former House minority leader, is a sharp, talkative conservative Republican who seems to have worn out his welcome even in Republican circles in the House of Delegates. 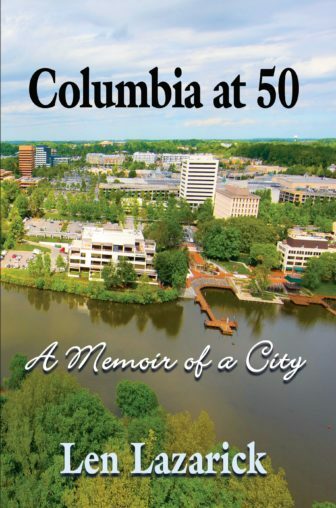 He knows a lot about the inner workings of electric utilities and the science of nuclear energy, having worked as a supervisor for BGE at the Calvert Cliffs nuclear plant. Yet he’s a pro-business Republican who isn’t likely to give much weight to environmental pleas for “green” power. He’s also not a lawyer and hasn’t steeped himself in the arcane statutory meanderings of utility regulatory law. O’Donnell will bring an interesting outlook to PSC deliberations. But he’s liable to find those endless hearings dull, long-winded and extraordinarily dense. Hogan could have done better. He gets a B-minus for this appointment. The governor played political favoritism here, nominating his chief lobbyist, Joe Getty, to the state’s highest court. Yes, Gov. Marvin Mandel did the same thing with Judge John C. Eldridge. But Eldridge brought to the bench considerable experience with a high-powered law firm. He was widely respected as a legal scholar. Getty, in contrast, is a former legislator and solo practitioner from Carroll County. He could be overwhelmed by the immensity of confronting 200 highly complex legal appeals each year. Getty, a staunch but sensible conservative, replaces one of the most liberal judges on the appeals court, Lynne Battaglia. He brings a different perspective to deliberations. But he also could find himself over his head, having never served as a jurist or been under the gun to write dozens of obtuse appellate decisions on technical legal disputes. Hogan should have named Getty to a lower court so he could gain much-needed experience before throwing him into the judicial lion’s den.